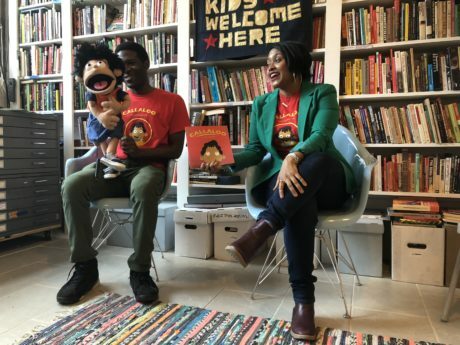 We’ll have special guests from Callaloo: Cultural Literacy for Kids and Sari-Sari Storybooks who will read selections of Afro-Asian storybooks. 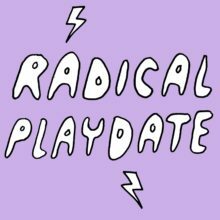 We’ll have our usual setup of toys, a craft table, and mats. Bring a favorite Afro-Asian book to share, bring a snack, or just bring yourselves! There will also be a Q&A with the book’s authors. 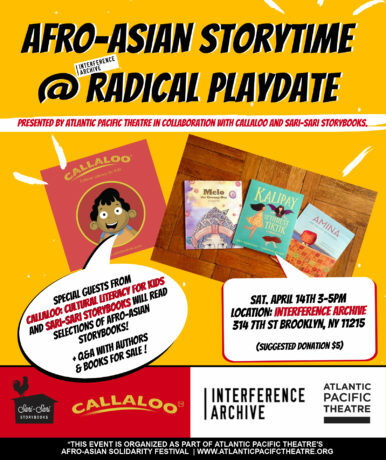 This event is organized as part of Atlantic Pacific Theatre‘s Afro-Asian Solidarity Festival in collaboration with Callaloo and Sari-Sari Storybooks.